While the new US anti-terrorist strategy doesn’t change much in terms of the fight itself, it operates a profound modification of the working rules of the Pentagon and the Secretariat of Homeland Security. It is not so much a rationalisation of what has been developed since 2001, but more a redefinition of the missions of the federal State. On 4 October 2018, the White House published the new « National Strategy for Counterterrorism » . This document is presented as a split from what has been achieved so far in the matter – the last text, dating from the Obama administration, was published in 2011. In reality, this is a compromise between President Trump and the Pentagon. Terrorism is a method of combat to which all armies reserve the right. The five permanent powers of the UN Security Council made a targeted use of terrorism during the Cold War. At that time, terrorist acts were either messages sent by one state to another, or secret operations aimed at inhibiting a protagonist. Today, they have become generalised. They no longer have a place in the secret dialogues between states, but are intended to weaken them. 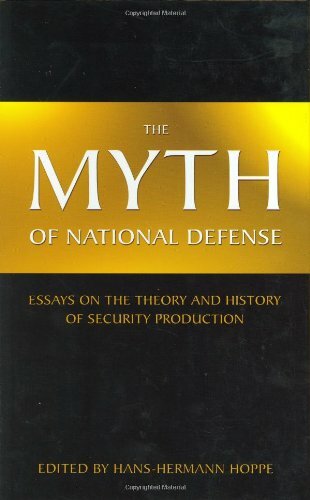 The Myth of National D... Hans-Hermann Hoppe Best Price: $7.41 Buy New $25.00 (as of 09:35 EDT - Details) As an example for our French readers, let’s remember that during the civil war in Lebanon, President François Mitterrand ordered the attack against the Office of Military Conscription in Damascus, causing 175 deaths, in response to the assassination of France’s ambassador in Beirut, Louis Delamarre. Or again, in 1985, President Mitterrand ordered the destruction of the Rainbow Warrior, a ship belonging to the Greenpeace organisation, because its presence prevented the continuation of nuclear testing in the Pacific. The attack caused one death. The notion of a « Global War on Terror » (GWOT), formulated by George Bush Jr., never made any sense at all. The word « terrorism » does not define enemies, but a method of combat. The « war on terrorism » makes no more sense than a « war against war ». 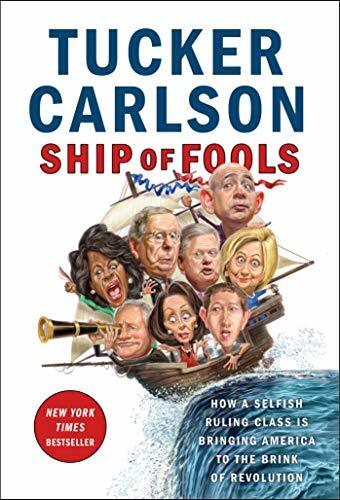 It was a way of announcing what Donald Rumsfeld called the « endless war » – in other words the strategy by Admiral Arthur Cebrowski for the destruction of the state structures of countries which are not connected to the global economy. The development of Muslim organisations which practise terrorism is based on an ideology, that of political Islam, which is defended and spread by the Muslim Brotherhood. Simultaneously, a variant of this ideology is propagated by certain Iranian currents, even though they use terrorism very infrequently. There is no point fighting the symptom (the multiplication of terrorist acts) without fighting the disease itself (political Islam). The word « terrorism » has become pejorative. It is often used to describe organisations which use this method of combat only rarely, but which the White House wishes to demonize (for example, Hezbollah). Launched by President Bush Jr. after the attacks of 11 September 2001, the Global War on Terrorism has not attained its declared objective. On the contrary, the number of terrorist acts in the world has been increasing constantly. This whole mess was simply an excuse to install a generalised surveillance of US citizens US (the Patriot Act and the creation of the Secretariat of Homeland Security) and to justify wars of aggression (Afghanistan, Iraq). President Obama polished up this system. He put an end to certain practices (for example the use of torture) and abstained from using this rhetoric to justify the aggressions against Libya and Syria. He buried the disagreements about the attacks of 9/11, maintained the Patriot Act, and developed the agencies which spy on the population. He only spoke of the war on terrorism in order to create a vast system of targeted assassinations, often carried out by drones. At the same time, he directed the « death » of Oussama Ben Laden in order to reintegrate his companions into the initial system of the CIA, thereby relying on Al-Qaïda for ground operations in Libya and Syria. Finally, he supported the creation of a Caliphate straddling Iraq and Syria, while pretending to combat Daesh. President Trump, who had planned to end the use of terrorism by the Allies, was obliged to modify his objectives after the forced resignation of his National Security Advisor, General Michael T. Flynn. Finally, he forced the Gulf countries to cease their financing of terrorist armies, put an end to the Caliphate as a state, and introduced the war against terrorism into the objectives of NATO. The new US doctrine attempts to conciliate the objective of « America first! » and the tools of the federal state. It therefore implies that from now on, Washington will only fight the terrorist organisations which attacks its interests – but let’s remember that it defines the word « interests » in the widest possible sense – including Israël. In order to justify this strategic annexation, it recycles the rhetoric of Bush Jr., proclaiming the necessity of defending the United States – including Israël – because they are the « vanguards of liberty, democracy and constitutional governance » (sic). other extremists (neo-Nazis of the Nordic Resistance Movement and the National Action Group, Sikhs of the Babbar Khalsa, also the specists). No-one has failed to notice that the designation of Muslim and Sikh groups based in Pakistan is probably preparing for an operation of destabilisation of this country. After Daesh in Palmyra, the Nazis in the Ukraine and the « revolution » in Nicaragua, Pakistan could be the fourth site for the hindrance of the Chinese « Belt and Road Initiative ». The continuation of the new strategy is a description of the acts which need to be implemented. President Trump willingly admits that the United States can not do everything at once, and therefore defines his « priority choices » ; an elegant way to stipulate what should not be done. Let’s note that at the same time, President Trump validates the detention of jihadists in the name of the laws of war; a detention which could be life imprisonment, taking into account the impossibility of ending the war in a reasonable delay. The system created in the USA for the surveillance of entries into the territory and the filing of suspects should be extended to all of the allied countries. « America first! » does not mean « USA alone! ». Whether the White House likes it or not, the Pentagon will attempt to re-establish the « American Empire » by pretending to coordinate the war on terrorism. While until now there existed propaganda to combat the enrolment of new jihadists, the Pentagon and the Secretariat of Homeland Security are now authorised to transform it into a State ideology in order to mobilise the whole society. Counter-terrorism is now slated to become what anti-Communism was during the time of Senator Joseph McCarthy. While fighting groups qualified as « terrorists », the Pentagon will now consider that it cannot prevent all the attacks on its territory. It will therefore develop a programme for the repair of damages. This is a complete change of mentality. Until now, no enemy had been able to reach the territory of the United States, and US armies are currently deployed all over the world to impose the law of Washington. The Pentagon is beginning to consider itself as a force for the Defence of the homeland. To resume, this new National Strategy for Counter-Terrorism is a long way away from the analyses formulated during the electoral campaign by Donald Trump and Michael T. Flynn. It will have little impact in the sector of terrorism. Its usefulness must be understood elsewhere. Step by step, the President is recalibrating the security apparatus of the federal state. If it is applied, the text will have profound consequences in the long term. It will play its part in the desire to transform imperialist armed forces into organs of National Defence. Previous article by Thierry Meyssan: The Calm Before the Storm?